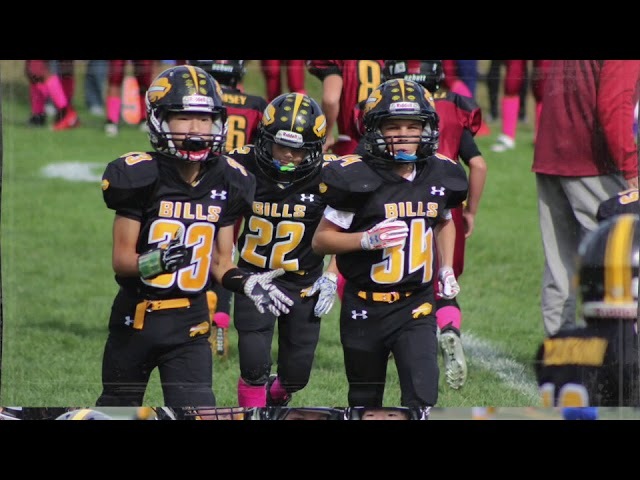 Updated Tuesday March 6, 2018 by Buffalo Grove Bills Youth Football and Cheerleading. 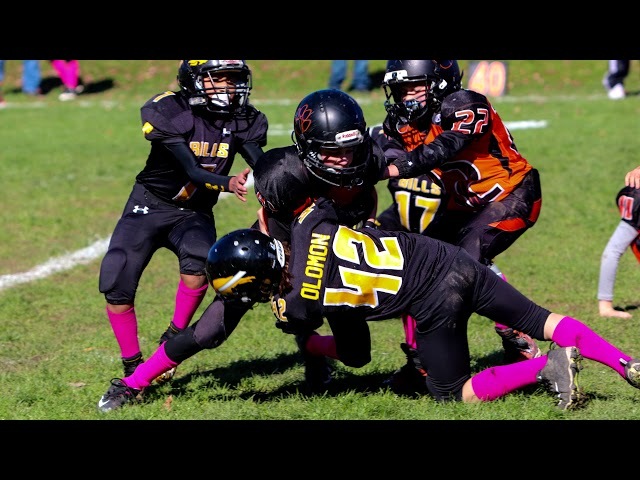 Welcome to the 2018 season of the Bills Youth Football and Cheerleading Association. This will be our 46th year of providing outstanding youth football and cheerleading for the Buffalo Grove Area. The Bills Youth Football and Cheerleading Association is a non-profit organization directed by a Board of Directors and Coaches Committee. The program began in 1972 and has grown since its inception. 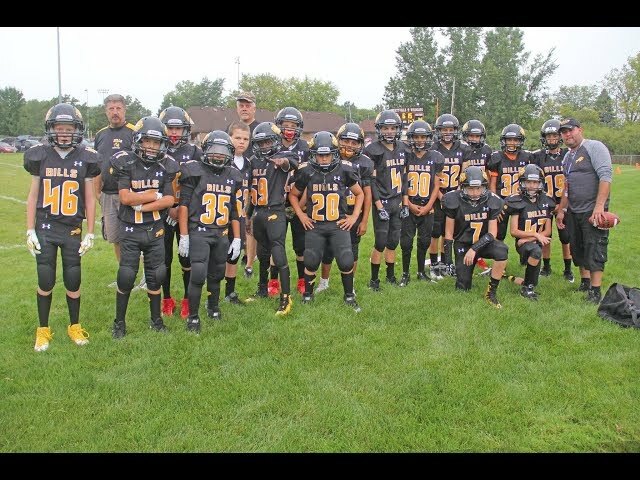 Bills is a member of The Chicagoland Youth Football League (TCYFL Link). A copy of the Childs birth certificate is required at registration for new participants. 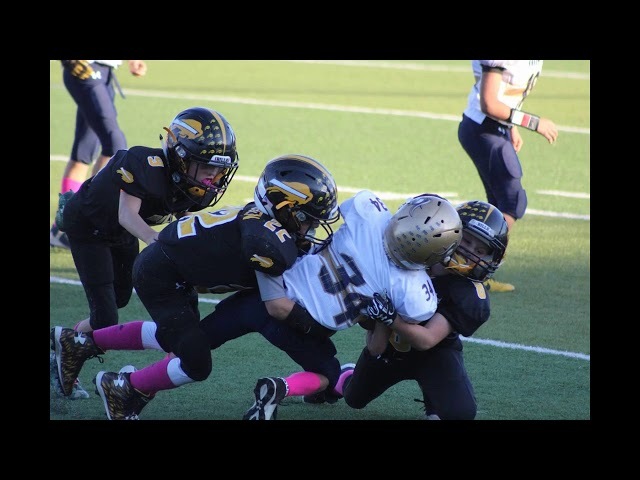 Our program is designed to teach the basics fundamentals of the game of football and cheerleading in an atmosphere, which teaches both discipline and having fun. Winning and losing is a part of the game, and while we always strive to win, we dont always and so we have to learn the graceful art of bouncing back. Each athlete has only one job, it is the coaches job to teach the athlete where to go, when to go, what to do, before, during and after he goes. The most important job the athlete has is to go with as much effort as his heart can summon from his body. Football all of the equipment will be provided by the Bills (Except shoes, rib protectors and cup/supporters), which includes the following: Game jerseys, game pants, shoulder pads, pad set, game socks, practice pants, mouth guard, and helmet, We only buy and retain safety approved equipment, which remains in top shape. Each year we replace and recondition a large portion of our equipment. Arm pads, hand pads are optional and are supplied by the player. Cheerleading uniforms and accessories will be provided by the Bills (except shoes). The Bills Football and Cheerleading program is insured for liability coverage. Medical insurance is not provided and is the responsibility of each parent. Our Program is designed to offer a challenge and experience to meet the needs of the largest number of youths possible. We offer (5) levels of competitions so each athlete is fully challenged; yet playing within the limits of his physical capabilities/ All teams participate in travel leagues. For Football Playing requirement including age and weight parameters, click here. Ages 7-14, Grades 1st 8th. Girls will be assigned to teams according to age levels of the corresponding football teams. Each squad will participate in a minimum of one competition per season. Competition is held in the fall and details will be provided at a later date. For those of you who are concerned about injuries, we want to assure you that because of the careful and effective way we stress physical conditioning we have a significantly lower injury rate than might be expected. We believe our record shows us to be safer program than soccer and most other sports. The Bills coaching staff is one of the finest in the area. Each year all of our coaches are required to attend coaching clinics to assure our athletes quality coaching. Several coaches have no children in the program and thus give objectivity to their tasks. The Bills home games are played at Emmerich East Park (click here for a map). Most of the games will be played on Saturdays and Sundays. Transportation to away games is the responsibility of each parent or guardian. Bills clothing, jackets and other items will be on sale in the June mailing. It has been our philosophy to offer only the highest quality in equipment, uniforms, training equipment, coaching personnel, and playing facilities. 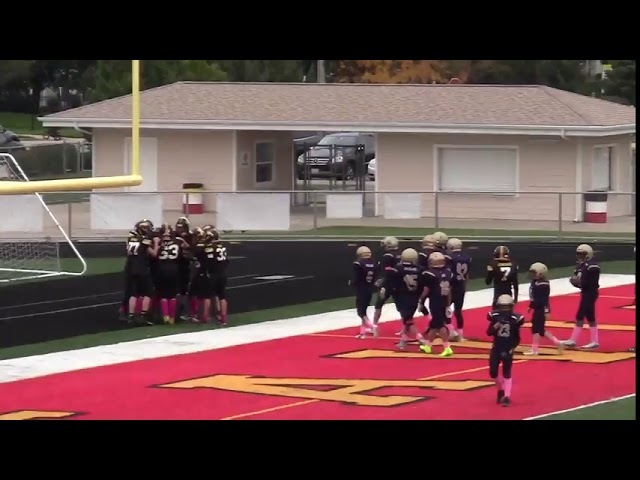 This year it will cost our program over $550.00 to place a football player on the field. We must raise the difference through fund raising (yearly $100.00 raffle per family), concessions, sponsors, clothing, and outside contributions. Only you can make the difference. We encourage your help to hold our costs down by your participation and support. Parents are required to work one concession assignment during the season. 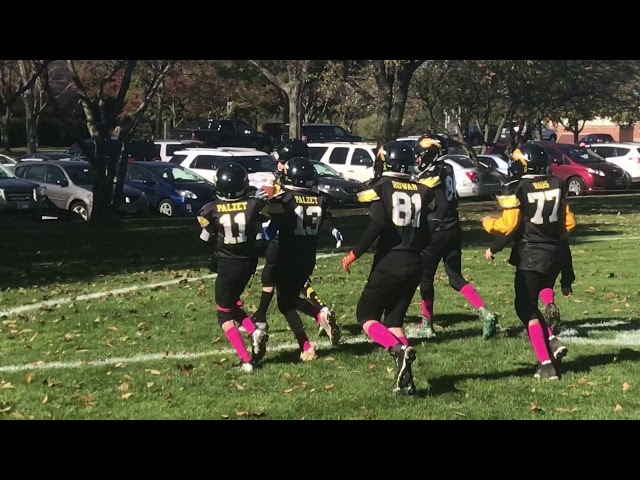 Parents are also needed to support the team by volunteering time during the season as team moms, for field set-up and tear-down, and chain gang, etc. 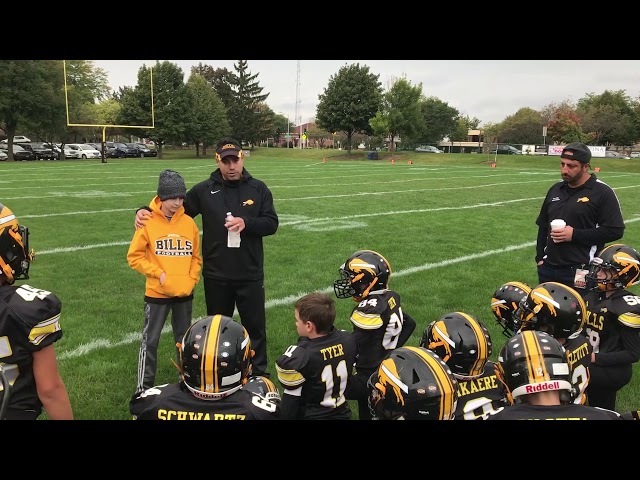 Please remember Bills Youth Football is a 100% volunteer organization and without your help and support we could not offer the quality program that we do. During the month of August, we practice Monday thru Friday 5:30pm - 7:30pm. Once school begins we practice 3 days a week, with specific day's determined by each coach.